If you were at AARC Congress 2015 in Tampa, you probably saw the CDC’s Tips From Former Smokers booth in the exhibit hall. 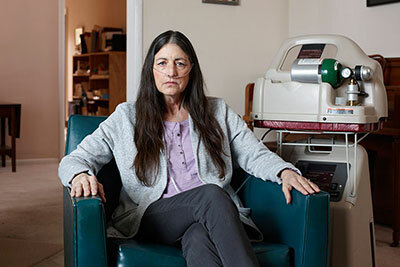 The CDC was at the meeting thanks to a new partnership between the government agency and the AARC aimed at encouraging more respiratory therapists to play a larger role in helping their patients kick the habit. At the core of the Tips campaign is a series of public service announcements featuring real former smokers talking about how smoking has impacted their lives — everyone from 54-year-old Becky, a former child-advocate attorney who is now suffering from end-stage COPD and on oxygen 24/7, to the more hopeful Rebecca, a 57-year-old grandmother who suffered tooth loss and depression due to her smoking but quit successfully at age 53 and ran a 5K race six months later to celebrate. But the Tips campaign consists of much more than just a series of commercials. It offers clinicians just like you a wealth of resources you can put to work in your own programs to counsel patients about tobacco cessation. You’ll find fact sheets, FAQs, downloadable posters, videos, a quick reference guide to helping your patients quit, a community guide featuring a systematic review of interventions that work with specific types of smokers, and so much more. The campaign kicked off on Jan. 25 and will run for 20 weeks, with the main messages consisting of 1) building public awareness of the immediate health damage caused by smoking and exposure to secondhand smoke, 2) encouraging smokers to quit and making free help available, and 3) encouraging smokers not to smoke around others and nonsmokers to protect themselves and their families from exposure to secondhand smoke.